Money Market Tips: STOCK MARKET--LOOK THESE TWO STOCKS FOR LONG TERM INVESTMENT IN PRESENT MARKET. STOCK MARKET--LOOK THESE TWO STOCKS FOR LONG TERM INVESTMENT IN PRESENT MARKET. ICICI Prudential Life Insurance Company and Saraswat Co-operative Bank, a century old and India’s largest urban co-operative bank, have come together to offer life insurance products ranging from protection to wealth creation. Through this partnership, over 280 Saraswat Bank branches in Maharashtra, Goa, Gujarat, Delhi, Madhya Pradesh and Karnataka will offer the entire range of Protection and Savings products of ICICI Prudential Life. Some of the key protection products include ICICI Pru iProtect Smart, a first of its kind term insurance plan providing cover against 34 critical illnesses and ICICI Pru Heart / Cancer Protect, a health insurance plan covering a range of Heart ailments and Cancer. ICICI Prudential Life Insurance Company offers a range of products to cater to the specific needs of customers in different life stages, enabling them to meet their long-term savings and protection needs. Rico Auto Industries has forayed into four wheeler aftermarket, after a successful year in the two wheeler aftermarket segment. Rico entered two wheeler aftermarket in May 2017 and achieved a turnover of over Rs 10 crore in the first year. Rico has established a strong network of 40 dealers and distributors across 22 states as also a foot print in Nepal and Sri Lanka. Rico is entering the four wheeler after market segment with an optimistic target of achieving aftermarket sales of over Rs 100 crore by 2020. 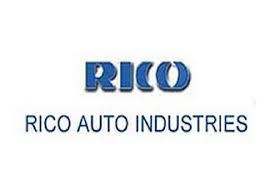 Rico Auto Industries is engaged in the manufacturing of clutch and crank case. The company is engaged in the manufacturing and sale of auto components for two wheelers and four wheelers.